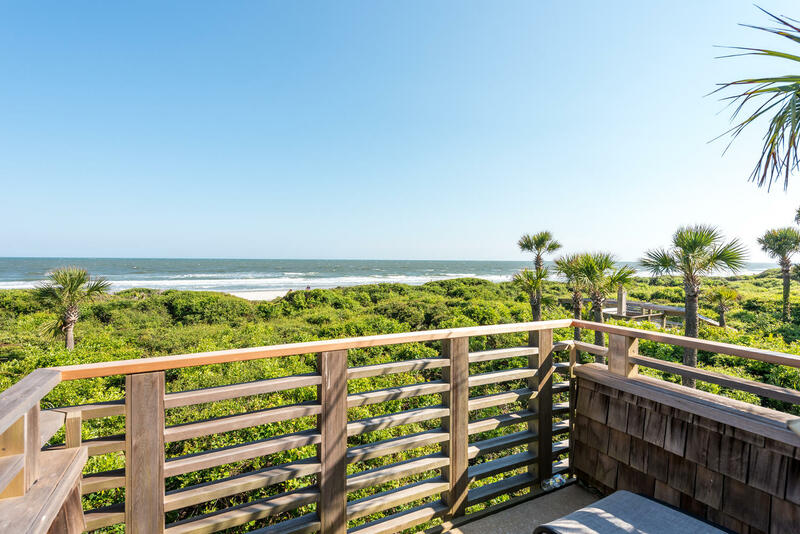 This three bedroom Kiawah Island oceanfront vacation rental, located at 4316 Windswept Villa, has been completely renovated and includes all new furniture, all new bathrooms, reconfigured floor plan, freshly painted throughout, and many custom touches. The stunning ocean views can be enjoyed from almost every room in the villa. 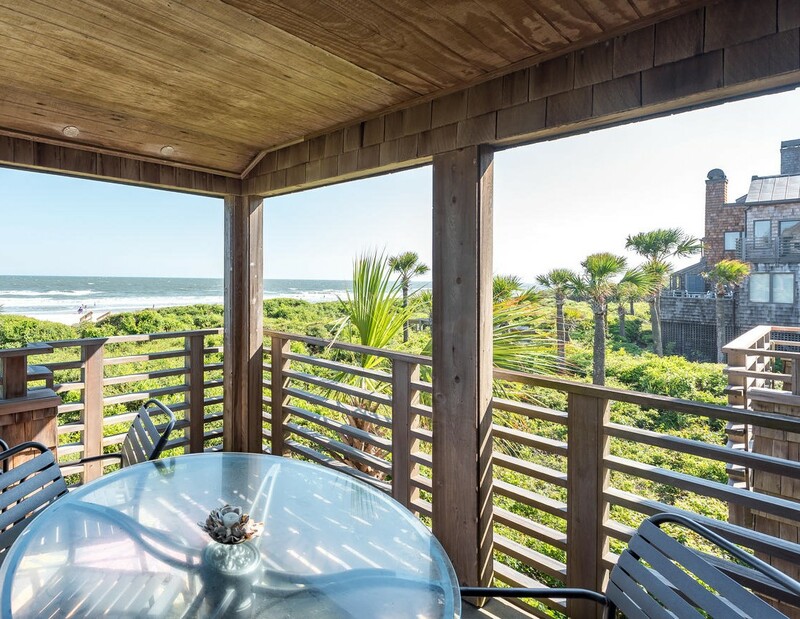 When you walk in this Windswept Villa, you are welcomed by the Kiawah ocean views. The entry has beautiful tile and a renovated kitchen with all stainless steel appliances, custom cabinetry, granite counter tops, and a large center island with bar seating for three. The custom-crafted dining room table with seating for six is perfect for enjoying meals with family and friends. 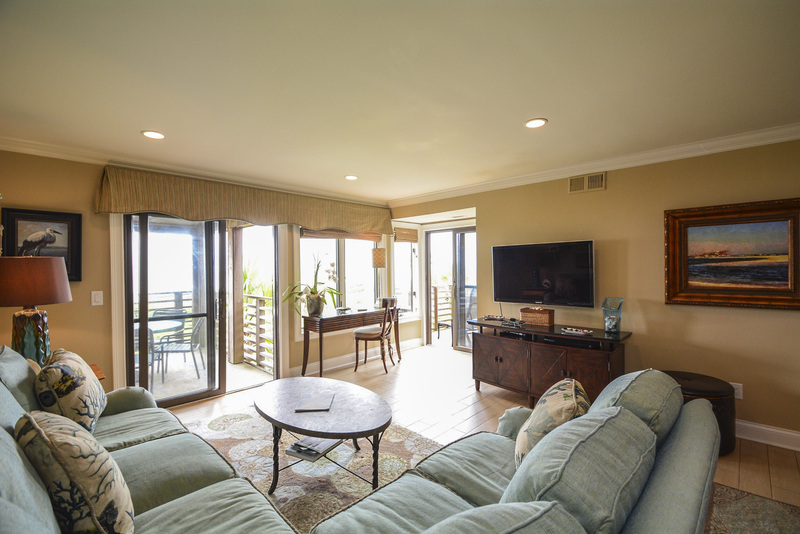 The living room offers a new comfortable sectional sofa and large flat screen TV and is brightened by many windows and doors facing the ocean. This special villa has a covered porch with table and chairs for enjoying meals in the ocean breezes as well as another open deck which is a rare feature for Windswept Villas. Being an end unit, the views are outstanding and the privacy just adds to the unique features of this property. This villa comfortably sleeps 6 with 1 king size bedroom, 1 queen size bedroom and a third bedroom with 2 twin beds. 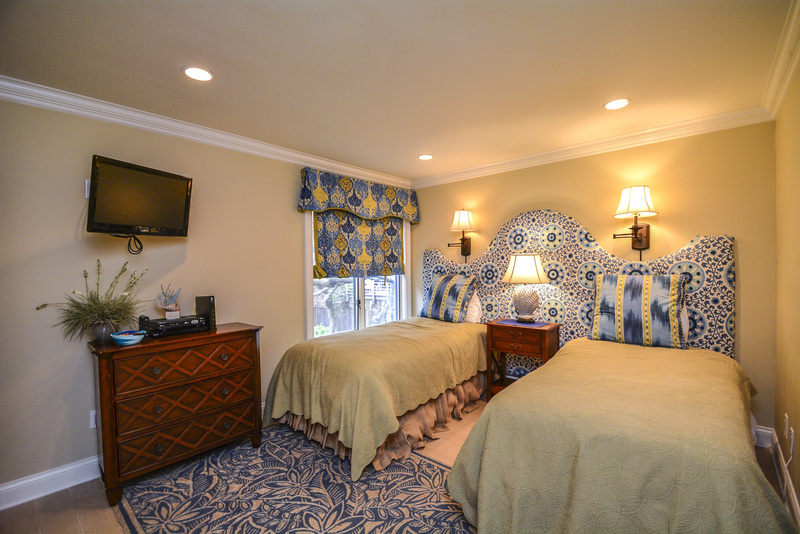 The twin beds can also be pushed together to make a king size bed with a custom wall mounted headboard. This property is well maintained and well equipped for a large group or a family. The views from the two decks are even better than the images portray. We thoroughly enjoyed our stay! This is the second time we have stayed in this particular villa so we knew what to expect. We were really impressed the first time we stayed there and were not disappointed this time either. We were impressed with the property and with Akers Ellis. Everything was handled in a very professional and satisfactory manner. We loved the condo which may be the best unit we have ever stayed in during a many visits to Kiawah. We liked your app and check in process. Definitely rate our experience 5 stars! Loved the villa. One of the nicest places we have stayed and we have been coming for years. Renting from Akers Ellis is a smooth process. Each occasion I have spoken with someone they are so pleasant on the phone. I enjoy the mobile app for info and check in and out. The condo turned out to be the perfect setting for our vacation. It was even better in person than the way it looked in the pictures. We all had our own space (own bedrooms and baths) plus very comfortable common sitting areas. The kitchen was well-equipped with everything we needed and there were also plenty of other supplies, including beach towels. The property is within walking distance of The Sanctuary, with fabulous views of the beach and ocean. Charleston was a 40 minute ride away and we were able to take advantage of the city sights and restaurant scene. 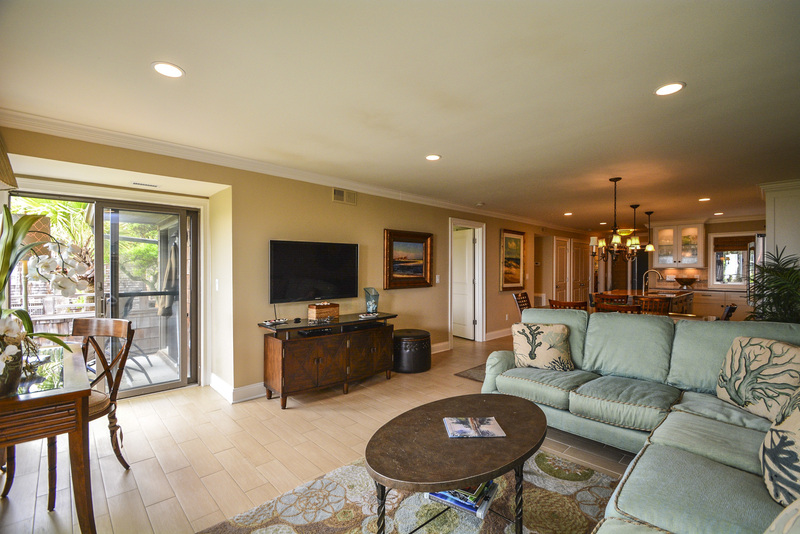 Our base for a small family gathering in the Charleston area was a perfect condo at Kiawah. 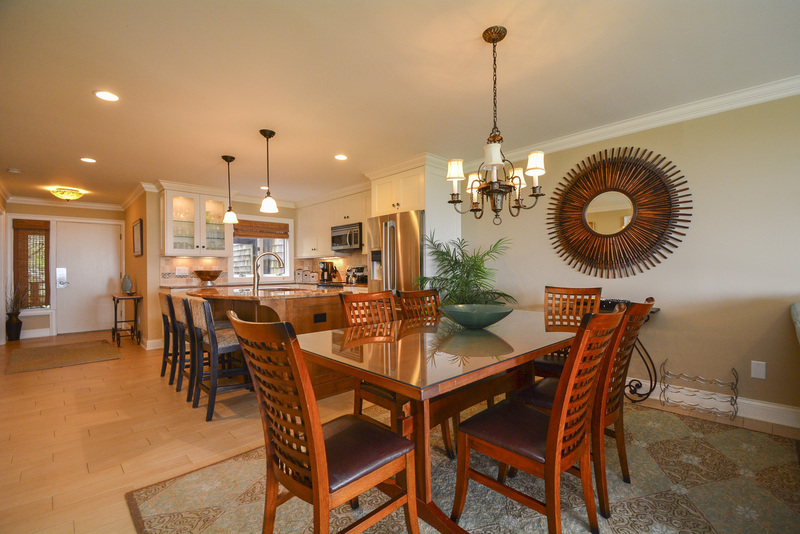 It was well appointed in every respect and provided space for conversation and great views of the beach and ocean. Couldn't have been better. Been absent from visiting for nearly 20 years. OMG, can't believe we stayed away but so glad we returned & will continue to do so regularly. The Akers Ellis team is outstanding & every bit first class! They are the most prompt, responsive & courteous agency we have ever dealt with on rental units for a get away. Every part of the process from booking to leaving was seamless! An incredible group of folks who give you 150% all the time! An agency you can trust & treats you like family! Our family loved this unit, very convenient to the beach with a beautiful view. Hard to believe all of the extra benefits the owners provided and it seemed like everything we could ever want was there. Unfortunately our visit was cut short by Hurricane Matthew, but we still found this unit to be absolutely perfect in every way. So perfect that we brought the furniture in from the patio so itt wouldn't be blown away in the storm. Hope to return to this unit someday and appreciate Akers Ellis attention to our early departure and prompt response to a partial refund. Awesome customer service that is hard to find these days. Thank you for bringing the furniture inside, how nice of you! So glad that you enjoyed this villa, that's wonderful. 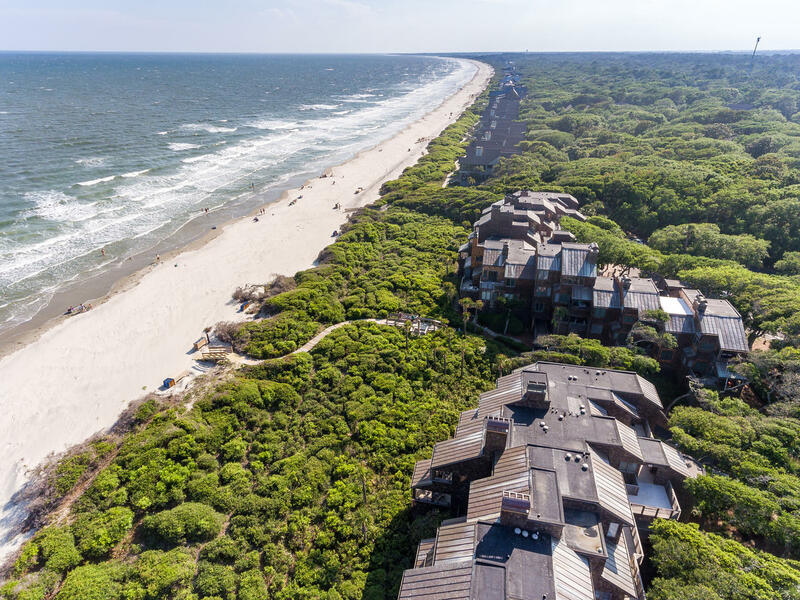 We hope to see you again for a return trip to Kiawah--this time without a storm coming! The place was awesome. Thanks for everything. The villa and everything about it was incredible. The A E Team hit a home run - easily a 5! Already looking forward to visiting Kiawah again next Fall. We'll be back in touch after the first of the year. The stay was excellent, and it rated a 5. Many thanks to your team for handing the arrangements. As usual, they did a super job. Already looking forward to our return in the Fall. Great remodel and well stocked. We will likely stay there again in the future. The unit was lovely and I appreciate the assistance from Akers Ellis. We had a good time— the unit was as advertised, and Akers Ellis did a great job with the logistics (your app rocks). We’ll definitely work with you again the next time we plan a trip to Kiawah. Thanks again. The unit was lovely. We enjoyed the convenience of having our gate pass and key to avoid the check in line. Also, I used the app for questions and concerns and they were all answered very quickly - impressive. We will definitely use them for future trips. We had a wonderful week end at 4316 windswept villas. It was a 5! We are really impressed with the quality of your rentals (that was the second one we rented) and the easiness of the process. We cannot wait to be back! This was one of the better rental units that we have stayed in. I'm sure we will stay there again soon. We have a reservation in March at one of your other Windswept rental properties. We had a great vacation in Kiawah. The villa was beautiful and fully stocked. We will definitely rent again. Great vacation! The app is great. Easiest rental that I have been associated with and we travel often. Best appointed condo we've ever experienced. My family had a wonderful stay at 4316 this past week. First let me tell you what we were pleasantly surprised about: The attention to detail as to the property was exceptional. Almost anything we could think of was provided which is something to which we are not accustomed. I actually felt like I was staying at a condo of a trusted friend who only rented or loaned it to friends and family. It was as if the owner had simply left for the week and we were house-sitting. Every time we thought we had found a shortcoming such as not a sufficient number of towels we would find a container full under the master bed. My wife said they needed to provide more “pots and pans”. Not being a man of the kitchen I simply put in in her words. The only other thing was the fact that the glass table top on the deck had not been cleaned (or so it appeared). Not being someone who spends a lot time in a beachfront property I don’t know how difficult it might be to keep the table top clean, but just as a suggestion you should have the service that you use make sure of that little touch. Everything else seemed spotless and we would definitely recommend this unit to friends. I would hope that you would share this with the owner as I would want that if I were fortunate enough to own a beautiful property such as this. I want to tell you also that I am very impressed with the Akers Ellis business plan as it seems to be a family business that functions very efficiently. I am part of such a family business and appreciate the hard work and resulting success that you seem to be enjoying. 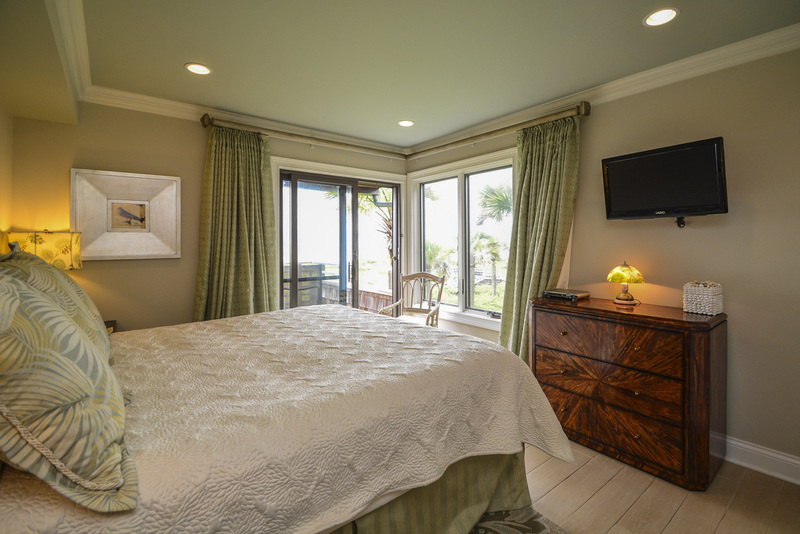 Perfect place to stay and enjoy all that Kiawah Island has to offer. We had 3 couples that have rented on the island for many years as an annual weekend getaway and this was our favorite pace so far. Condo was well equiped and furnished, view and proximity to beach and other island amenities were perfect. Would highly recommend. This was our second rental with Akers Ellis. Your app is awesome and you make the entire process very easy on your customers. Your rates, especially off season, are very competitive especially this time with your spring discount. We'd give Akers Ellis a 5. I have already recommended the Villa to family. Excellent condo with an outstanding view and location! Our family has vacationed at Kiawah Island for nearly 25 years, and we've stayed in many different homes and villas. This property is our new favorite! The next time we're planning a trip to our favorite island, we will hope to stay in this condo! 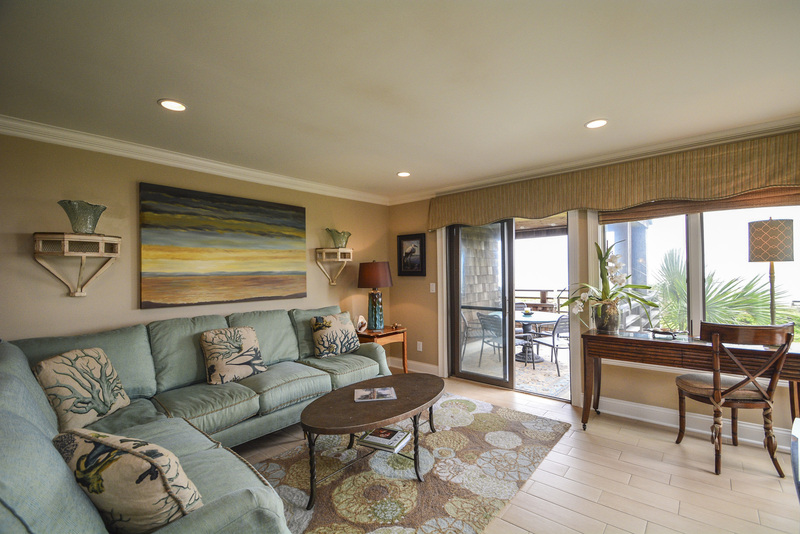 Great condo with great bedrooms and ocean views. One of the nicest units we have rented. Best family vacation ever! This condo was top notch! Everything you need is there: kitchen and beach supplies, bedding and towels... It's all provided and of great quality. The night heron park had nightly events for kids and family friendly events: games and music etc. Th nature center was great to check of all of he info on local wildlife. Bike paths are awesome and easy to ride for any age. We are coming back ASAP! We had a great time and loved the condo! We have stayed in numerous rentals over the last 20 years, both condos and homes. This is by far the nicest place we have ever stayed. Fabulous views, beautifully decorated (much better than the pictures), and incredibly well-equipped with anything you might need. Akers is also excellent--we had a problem with the cable when we arrived on Sunday and they had someone to our house within fifteen minutes. We will only stay here from now on. Loved it! Will definitely return to the same property. 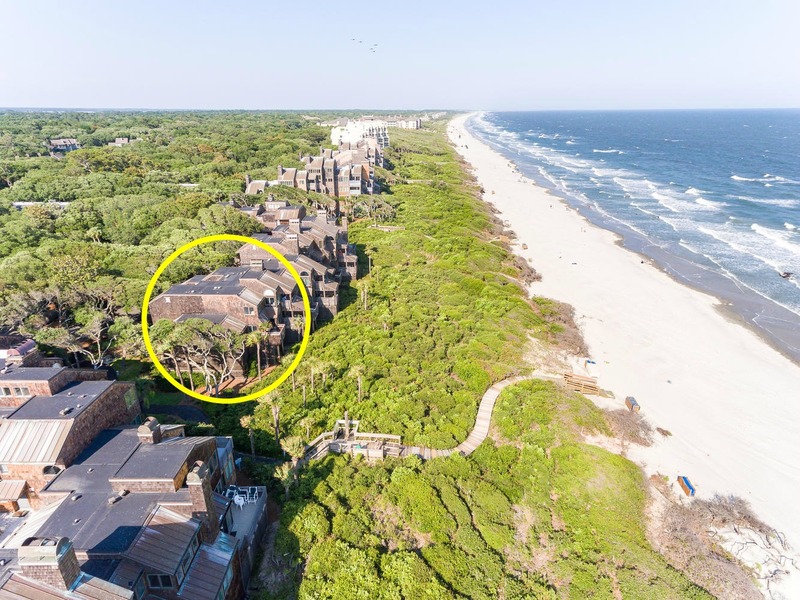 This was our first trip to Kiawah but I know we had the best beach front villa in the area! What an awesome property & view! 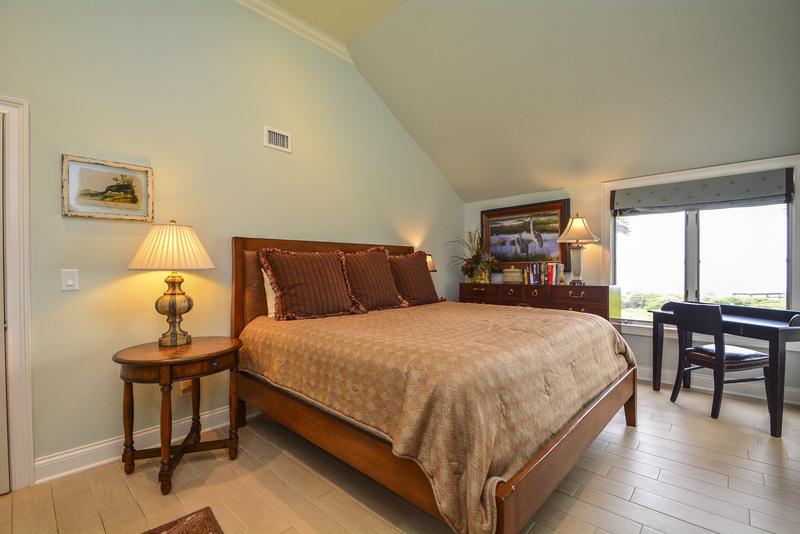 Great location for the tennis center, the beach, biking trails, Freshfields & the great restaurants & shopping there. Golf courses convenient in every direction and the Marina not far away. We took advantage of all of that and cannot wait to come back to that beautiful island and beautiful villa! So nice!! I rented this property last spring and again this spring. Would love to come back! Had a wonderful time at 4316 Windswept, only issue was that the villa was so comfortable my kids didn't want to leave to come down to the beach! 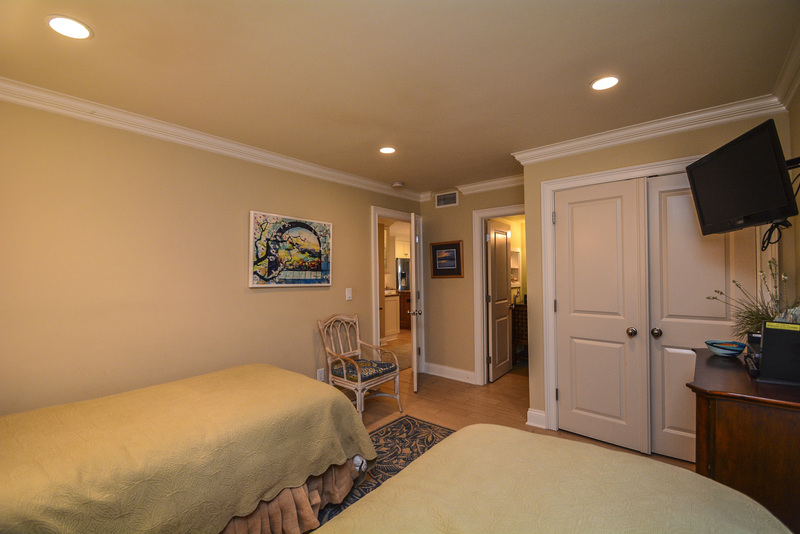 We have been coming to Kiawah for 27 years and this is clearly one of the best units we've ever rented. Highly recommended. This condo has been beautifully redone and the cleaning service did a great job. I intend to stay in this unit every year if I cannot buy it! Lovely condo, beautifully decorated ( but not overdone) & an excellent location. Our favorite place to hang out was the balcony with an outstanding view of the Atlantic but still comfortable. 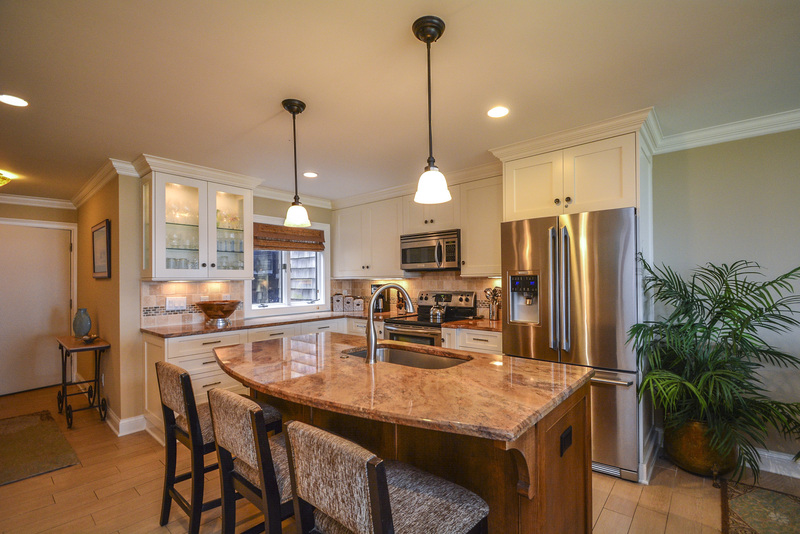 Amazing kitchen, beds & baths. 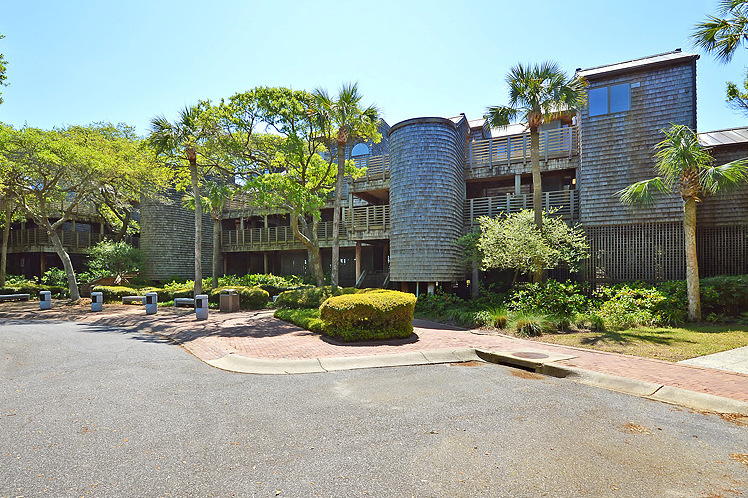 Easy access to beach, bike trails & Charleston. Could not have been better! We had an exceptional experience. The home was of the highest caliber. Easily accommodated our family of six (four kids) for breakfast and lunch each day - and convenient to a multitude of dinner options. Would not hesitate to recommend. Beautiful villa, and great location. Very quite at night. Beach was perfect. What's not to love about Kiawah? Ocean views, ocean breezes, bike rides on the beach along with always a surprise sighting from mother nature. 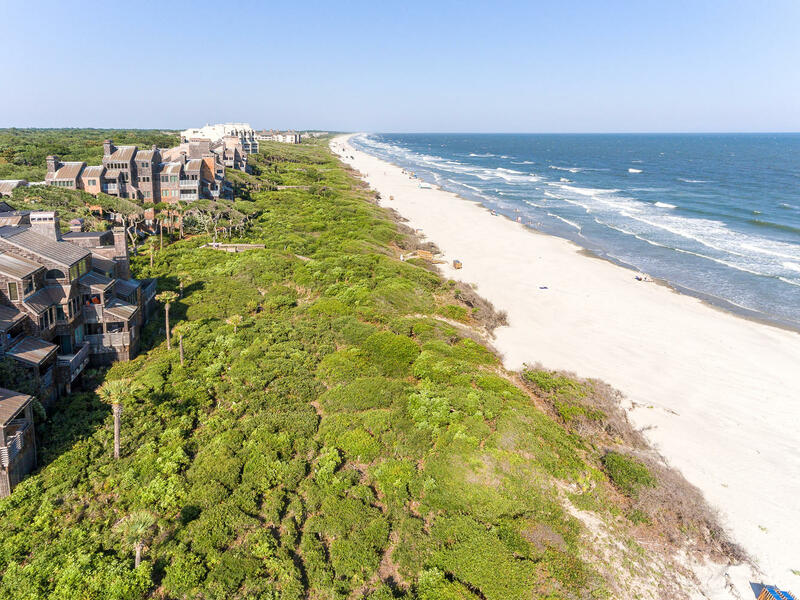 We had all of this and more for a wonderful eight days in the most attractive, beautifully appointed and equipped villas we have rented in our 11 years of visits to Kiawah. We can't wait for # 12!
. Can't wait for our return! Great Location - Highly Recommend! We had a great time in Kiawah. This Villa was very impressive. Wonderfully decorated, excellent location right on the beach! Owners didn't hold back! We look forward to staying here again in the future. Wonderful condo with incredible ocean views. Will definitely rent this place again. Our family enjoyed staying in the well-appointed 4316 Windswept Villa during the Kiawah Marathon Weekend. The decorator touches made our long weekend as good as or better than being at home. 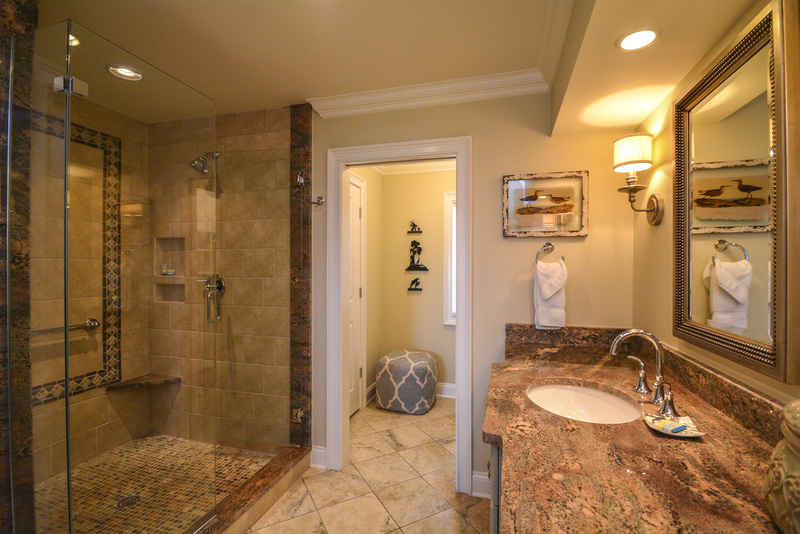 The master bathroom was simply awesome and enjoyed immensely by our marathon daughter after her long race. 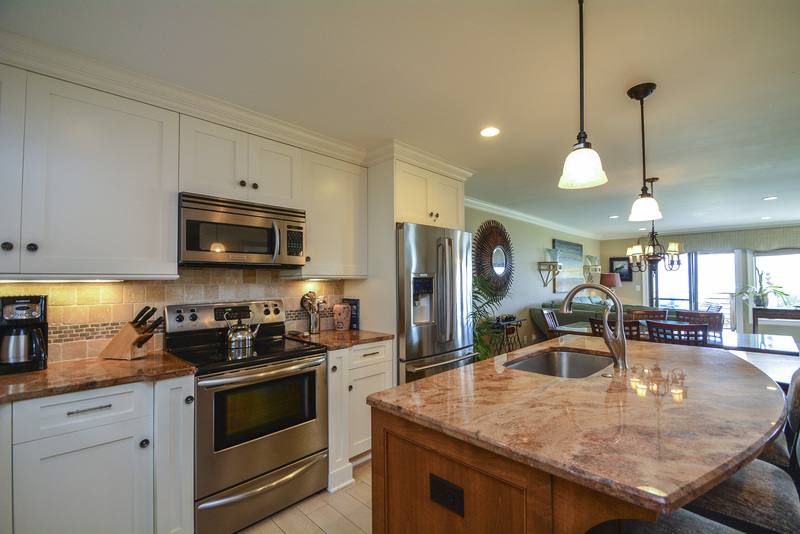 The kitchen was well-appointed and not lacking in anyway. The ocean view was relaxing. We will definitely return to 4316 Windswept again. Thank you to Dana at Akers Ellis for her patience in locating us this spectacular villa. A great experience for a great long weekend. We love the place and give it a 5. My wife and I enjoyed 5 days at this beautiful property in mid-December, 2012. This villa has a magnificant location, a super view of the ocean, and great sun decks. You could not hope to find a villa that is as well equipped as this one. This villa is located near an elevator and has two walk-in-showers. 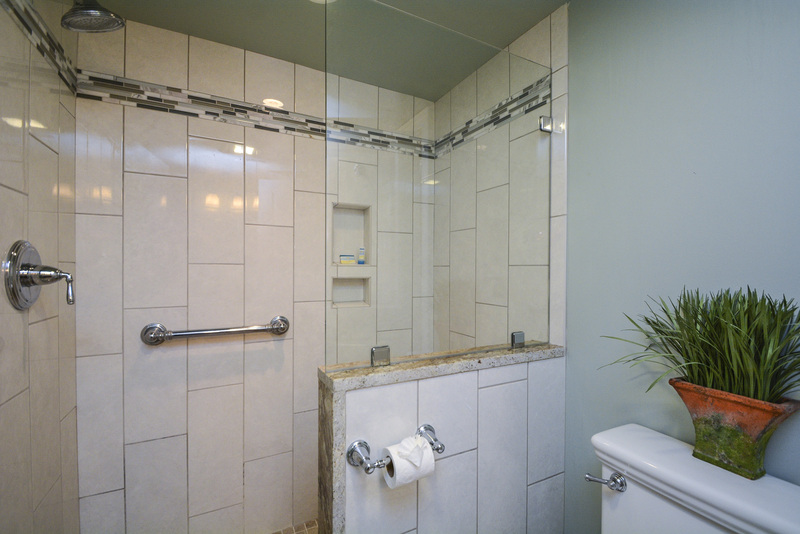 The master bath is simply beautiful with a magnificent, very large shower. Overall, this villa has a great floor design with great views of the ocean from most locations. Our second rental with Akers was another great experience. We needed to consider the needs of 3 generations and activity levels. They worked hard to get a unit that suited all of us. Our original rental was not available due to construction. They very kindly upgraded us to oceanfront at no additional cost. Staff is always helpful & friendly. Properties are beautiful with everything one needs and wants on vacation. We really enjoyed the villa. We've been traveling to Kiawah and Seabrook since 1980 and we were there this past weekend for my daughter's college graduation. This was by far and away the best villa we've stayed in. Our trip to Kiawah Island was wonderful. We loved this 2br as well as the other 3br villa we rented. They proved to be perfect for our family. We have been coming to Kiawah for 3 years and these were the best accommodations yet. Thanks for making our stay so enjoyable. Thank you for your attention to detail, professionalism, and ease in booking at Windswept this past week. 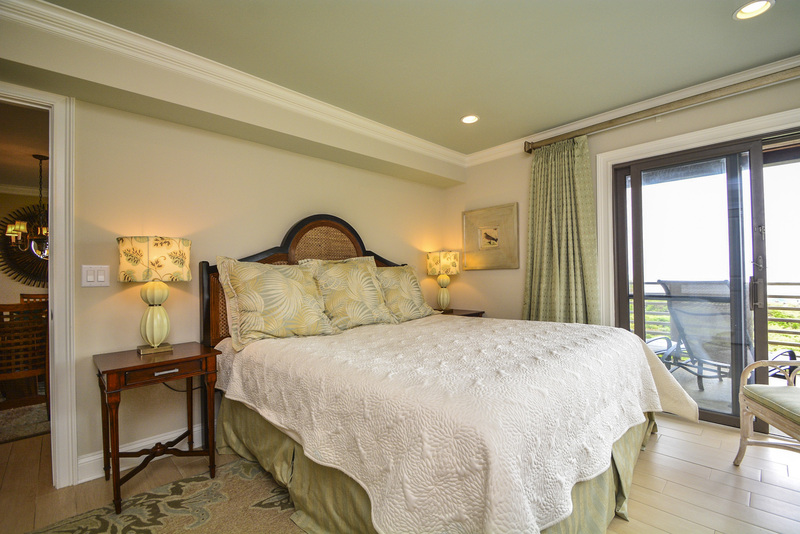 The amenities and well-appointed villa made for a delightful three days on Kiawah Island. I appreciate your help and would certainly give you a resounding 5! We had a marvelous time with no issues. The unit was fantastic. My wife and family loved it. We appreciate the help of your family member that came to address some of the maintenance issues as well. Very professional and enjoyable to talk with while he was working. We will look forward to staying with your team again. We had a great time, and the Akers Ellis team was outstanding on the front end. We look forward to returning soon. We had a great time. The unit is certainly one of our favorites. 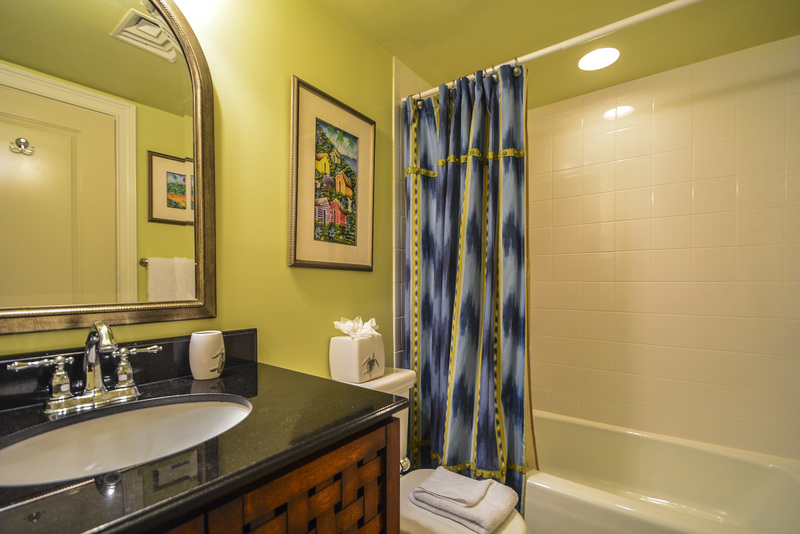 The condo was beautifully appointed, clean, and well maintained. The location was lovely and the ocean views were spectacular. Your team has been very helpful and accommodating throughout the entire process. I would certainly use your service again for a future trip to Kiawah. It was great! The condo was well equipped, clean and very nice. This was our second year at Windswept. A 5! Super nice place. Thanks! We chose this condo before it was completely renovated and without knowing what it was really going to look like. We were not at all disappointed! 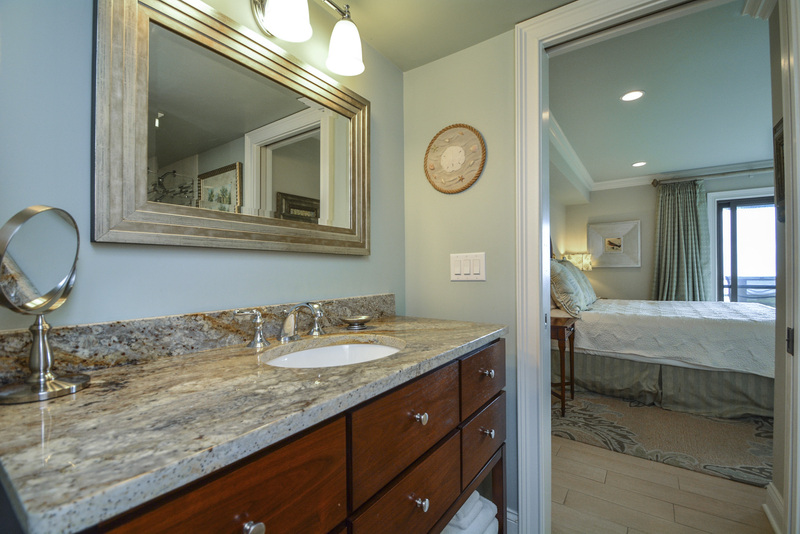 The condo was finished out beautifully and decorated very tastefully. The ocean views from every window were amazing. It's proximity to the beach was super convenient. We would definitely stay here again! Thank you so much for your comments about this wonderful villa. The owners did such a great job renovating it and we are so glad that you enjoyed everything. 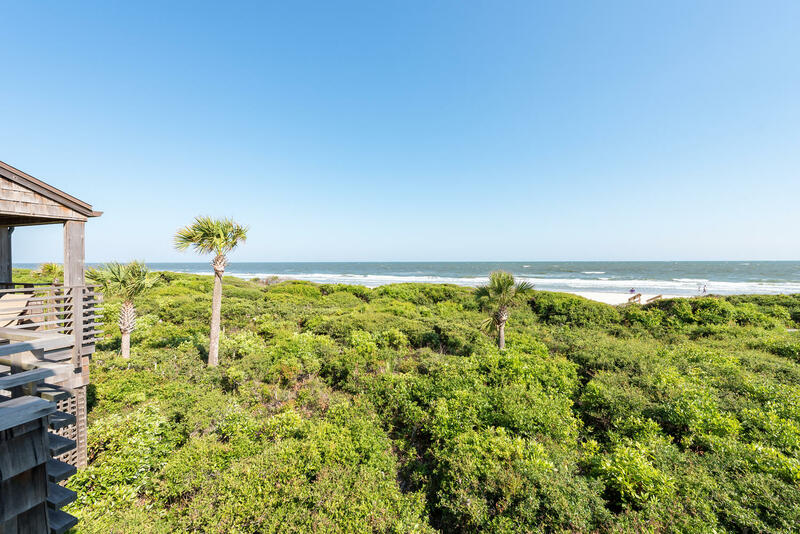 We look forward to having you back to Kiawah Island. Everything about this villa is fantastic. The location is perfect - close to Night Heron Park and the Sanctuary (and not too far from Freshfields). Also, the villa itself was gorgeous - totally renovated, nice layout, very nice kitchen, 3 full baths all of which are very nice. The property manager was also very helpful. Immaculate, 5-star accomodations with 180 degrees ocean views to boot! We especially liked the two balconies. When we come back to Kiawah we'll definitely try to stay here again. I picked this 4316 Windswept Villa for the panoramic view of the ocean – and got that with so much more.Two of the bedrooms have a direct view of the ocean. The third bedroom overlooks the quiet greenery of the entire Villa. Three bedrooms, yes, but the elegant charm of this Villa is that whether you are one or a family of six, you feel at home and spoiled by the upscale décor and amenities. I especially like the “great room” feel so the cook is not isolated from the rest of the group. Yet, there still is a living room, dining room and kitchen. (Check out the dining room table: I learned that it was hand-crafted by the talented furniture maker Craig Marcus.) While there is a feeling of separate space, all areas reach out to the Atlantic – the reason we’re here. We were thrilled with all the extras. Everything we needed was at our finger tips. You thought of everything! Tasteful decor as well. Thank you for a wonderful vacation! 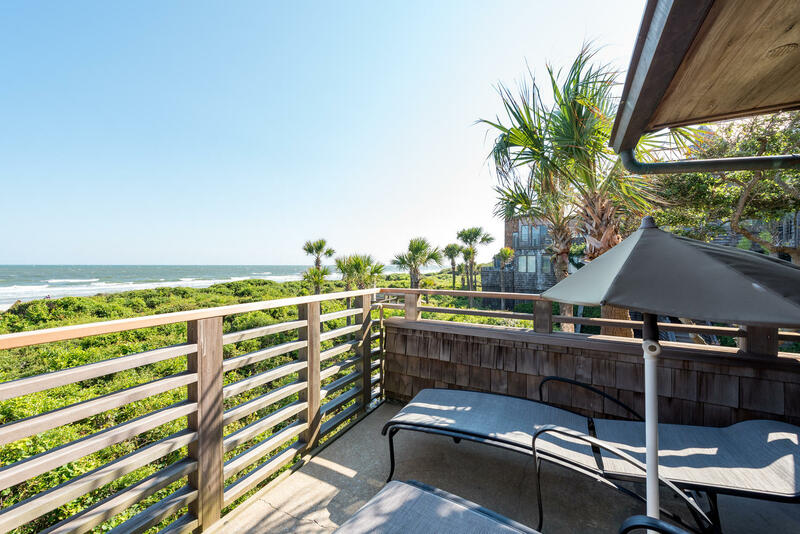 This is our 15th visit to Kiawah, and this is among the nicest condos we've rented. 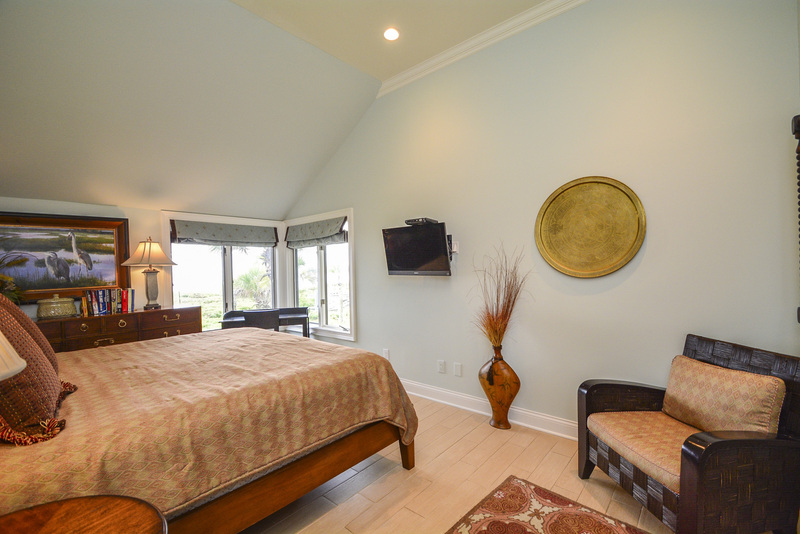 Tastefully decorated, amazing views of ocean, well stocked kitchen, comfortable beds. We loved the unit and would definitely stay here again!